Three New Xbox Live Releases are available today to check out. 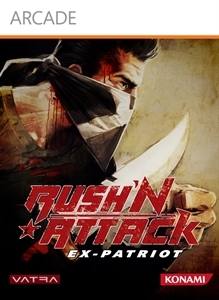 Rush’N Attack is an 2d action game from Konami, Islands of Wakfu is a beautiful hand drawn action adventure game, and Strania is a different take on arcade shooters Each game this week will cost 800 MSP ($10). "Continue Sid Morrow’s mission to retrieve Gibson and uncover the dangerous secrets looming in the shadows of the Cold War. Trapped behind enemy lines and armed with little more than a knife and your hand-to-hand combat training, you must find a way to survive behind enemy lines and thwart the threat of global destruction." 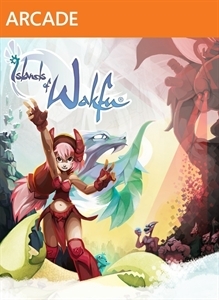 "Islands of Wakfu is an action/adventure game set in the universe of the world-famous DOFUS and Wakfu MMORPGs. Gameplay revolves around the complementarity between the two principal characters: Nora, the young Eliatrope, and her brother dragon, Efrim. Nora is a close combat fighter, relying on her fists, feet, combos, and dimensional powers. 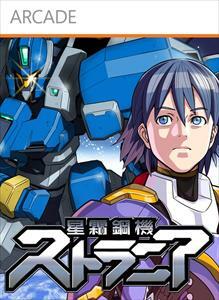 Efrim is a long-distance shooter who is able to fly. They breathe the Wakfu in and out, bloom Wakfu flowers, and harvest Wakfu honey that can be used to buy upgrades for both characters. Control the third playable character, the Platypus, to pick up items, interact with the environment, and find secret passages."